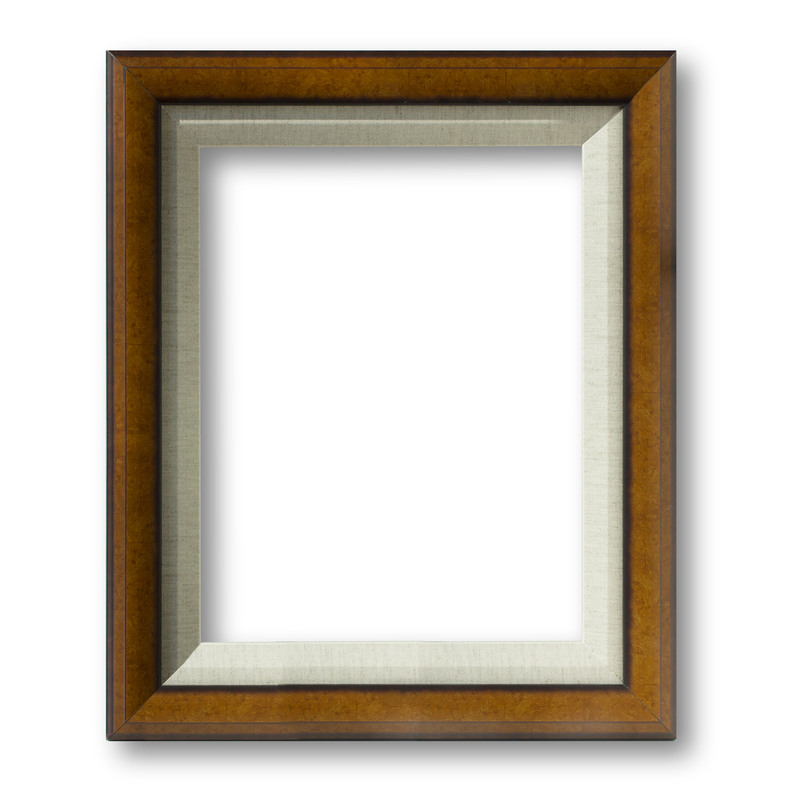 This frame is a honey color with dark edges. It measures one inch in width, with the Linen liner the total width of the frame is 2 inches. This is a popular frame and looks wonderful with the fox kit and the robin.